Four parts of literary genre are fiction, nonfiction, poetry and drama. Out of the four only drama is acted on a stage and the flow of the story depends on the action and dialogue carried out and spoken by the live actors. Ancient Greeks were masters in writing and enacting drama on the stage. Strangely, there were no actresses and young boys played the role of women on the stage. It would be difficult to appreciate characteristics of a drama without learning in depth about the main elements of the drama. The features of a drama though differ in importance from play to play have a common thread as well. A play revolves round the characters in the drama, characters in a play a crucial role that makes a play good or bad. There are many categories of characters. 2) Flat characters are only minor characters and generally have one or two traits. They are used as a contrast to the main character. 3) Round: A round character has many traits, but the audience see only side and a round character can grow or change in the duration of a play. 4) Minor: These are a necessity in a play, but their roles are no very important, for are used to reinforce the importance of main character or form a background to action taking place. Protagonist: Protagonist plays a central role in the drama and sets the sequence action into motion. For example, the protagonist in Shakespeare’s play Macbeth is also called Macbeth and the whole action revolves round him. Antagonist: Antagonist is an antihero or a bad character who opposes the protagonist. Iago in Shakespeare’s play Othello is a typical antagonist who opposes the protagonist all the time. Foil: A foil is a unique character in the drama, his personal characteristics are in stark contrast with other characters, usually protagonist and form a background against which we come to know more about the characteristics of the other players. In Shakespeare’s drama Julius Caesar, Cassius is the foil to Caesar. Confidant: A confidant in a drama is usually a friend or an old servant who listens to the protagonist and gives him suitable advice. Confidant is also a means of revealing the thoughts and intended actions of the protagonist to the viewers, but not to other actors in the drama. Stock characters: These characters play a very light role as group members, who displays a particular kind of trait and appear multiple times in the drama. Example: A joker or a serving person. 2. Dialogues are means to convey feelings or action : Dialogues are spoken by the actors in a drama and are main vehicle to convey feelings and personalities of the characters. Writers take great care to write dialogues to suit the action and the part played by a specific character. Unlike other visual genre where other means are available to the writer, dialogues in a play are used to portray the true nature of a particular character because there is a limited space in a play for action. They also help in the forward movement of a plot. 2) Soliloquy, which is a sort of monologue by a single character to show his feelings and thoughts. 3. The Plot : The storyline or a plot is the device that helps in the narration of a story. The plot unravels in a sequential order; usually the main characters are introduced first to make the audience to become aware and anticipate the way the story is going to develop. Next comes the conflict; this is the most crucial part of a play as it shows how the characters face the difficulties. Resolution of a conflict in a play is known as the climax. 3) Resolution of the conflict or climax. 4. The setting : Unlike other genre setting plays a very limited part in a drama because due to logistical difficulties it is difficult to show to the audience the place where the action is taking. Usually the setting is usually a painted backdrop or subtle lightings to depict the night, day or seasons. Passing of time is shown by the change in the appearance of the characters; they walk with slow steps or display grey hair to portray old age. Different types of costumes are used as s setting to show profession of characters. Sometimes items are used to portray a particular time in history or life of the character. These are called props. Setting is also the first thing the audience notices and it is generally used to create a specific atmosphere. 5. Stage directions : The author of a play uses stage directions for various purposes. On one hand they are used to guide the movements of the characters, the use of props on the stage, on the other hand they are used to create a certain atmosphere during the play. Stage directions also help the audience to understand what is happening. The writer sometimes, embeds the stage direction, often in brackets, giving direction to the acts how to move or use props. The writer also gives directions to the actors display a particular body language to convey a particular feeling, enter and exit to create the mood. 6. Theme is message in the play : Theme is the main idea of the play. It is the message that the writer is trying to convey to the audience. 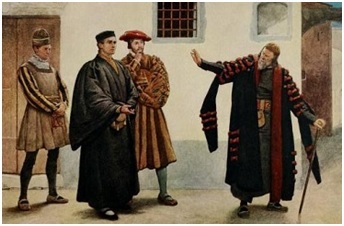 Sometimes the theme is universal and timeless, for example some of the themes conveyed in Shakespeare’s plays are universal, good, and evil, love of power, hate, or jealousy. These themes are repeated again in many genres. Theme and plot are two elements that are inter-twined and need to correlate with one other. Drama throughout the ages has followed the structure laid down by the ancient Greeks. Eventually, traditional drama was divided into five distinct parts in the Sixteenth Century based on the Greek structure. These five segments are introduction or exposition, ‘rising action, climax, falling action,’ and conclusion or denouement. Introduction /exposition: The theme, the plot and the characters of a play are generally introduced in the exposition (introduction). The type of conflict is sometimes also introduced in the beginning of the play. The key to the action that is likely to follow are shown in the glimpses of the past of a character or the conflict faced by many characters. ‘Rising action’: Rising action characterizes the movement of the plot into conflicts or introduction of a number of minor plots. In this part the writer tries to create several feelings in the audience, some apprehension and a desire to watch what is likely to come next and perception of high anticipation. ‘Climax’: The climax is most intense part of a play. It is very intensive, interesting and is the pinnacle of dramatic display. It is the point where the action becomes inevitable, and the play takes a decisive turn, becomes either a comedy or a tragedy. ‘Falling Action’: The fourth segment shows the play is heading towards conclusion, conflicts are settled, action is decisive and it becomes apparent that the play is going to end soon. Conclusion: Conclusion is also called denouement. It is final stage of the drama, things come to an end all difficulties are resolved, problems/conflicts are solved, and one can discern easily whether the play is a comedy or a tragedy.